A new extension is out to keep a watchful eye on security of your identities stored in My ID HUB. We’ve built Security Screen right into extension and every time you visit a web site you get to see how secure your web site identity is. Leak detection! Check if your password was found in any of online dumps of credentials on dark web. To make this release even better, we’ve improve field recognition algorithm and added notifications. 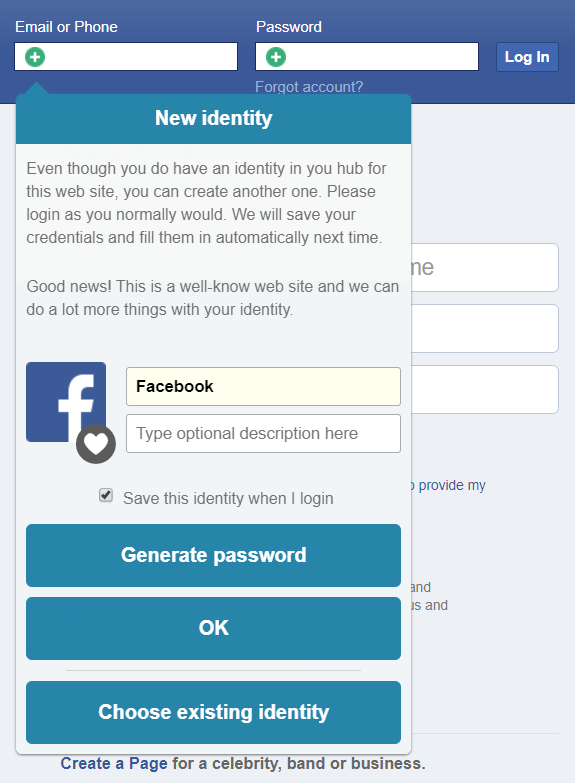 Now you can see whenever My ID HUB extension creates or updates identities as you type credentials on web site forms. Please don’t forget to share your thoughts on our facebook page. This entry was posted in Uncategorized on May 4, 2018 by Oleg. 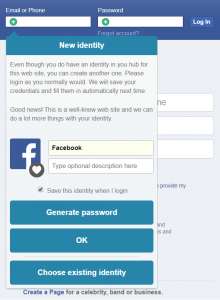 A new version of Google Chrome extension was released that enables creation of new and update of existing identities. 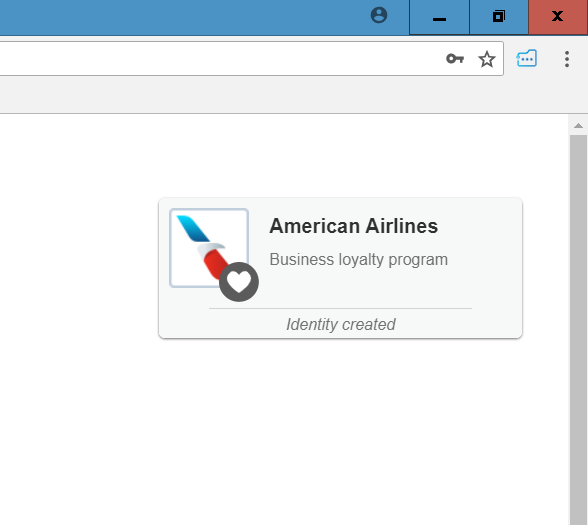 You can now pick your favorite identity right from extension itself and “pin” one of multiple identities to a particular web site on a given computer. As you change your identity password, it is automatically saved to the server so you never lose it. Improved conflict resolution algorithm – when the same identity or property is changed on different computers, extension and web site do a bit more sleuthing to retain the right information and prevent accidental data loss. 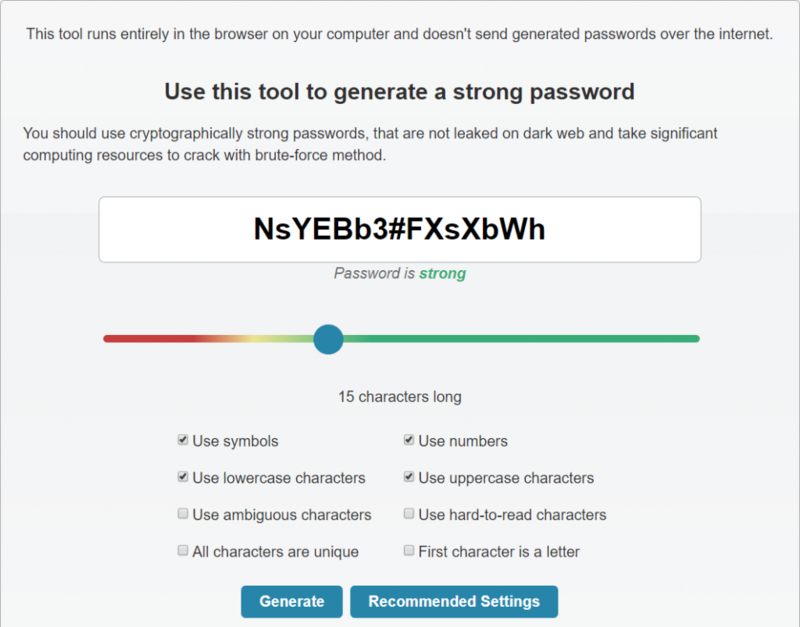 Improved password generator – default generator profile was changed to avoid ambiguous and hard-to-read characters without sacrificing password strength. 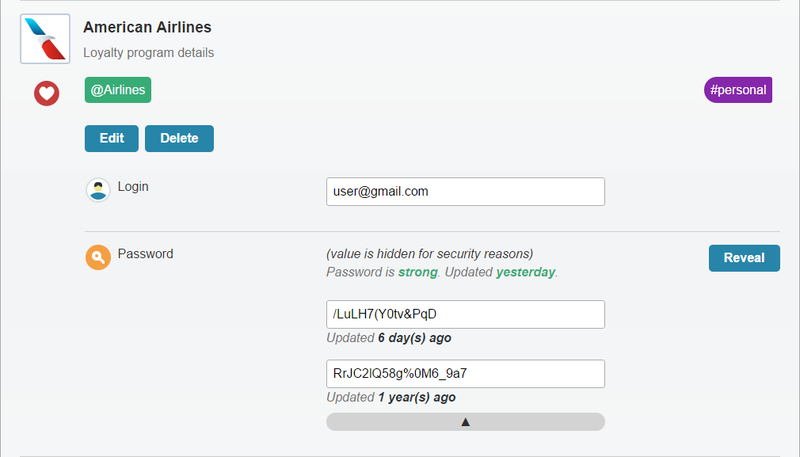 Improved form capture – we support password capture on more types of forms than before. Web site developers are always at work building better experiences, which sometimes leads to a non-standard form UX. Improved form field detection algorithm – for web sites we do not explicitly support, we’ve added generic field recognition logic that tries to figure out which fields are supposed to have which values. It also establishes association between web sites we don’t recognize and identities inside My ID HUB using “Web site address” property for safety. We hope you find these changes useful. This entry was posted in Announcements on April 23, 2018 by Oleg. We are excited to announce an update to My ID HUB password generator tool. It was always doing a good job generating strong passwords, but now it is even better. 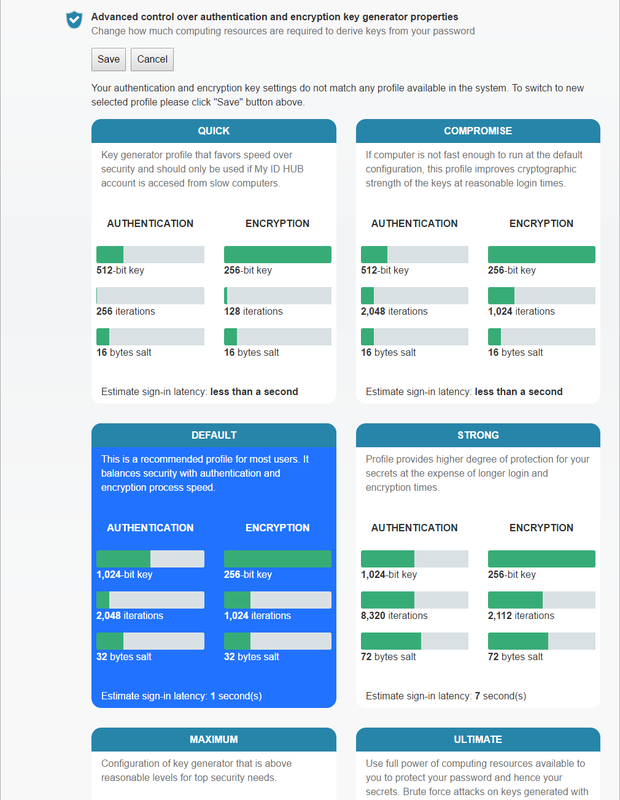 Tool provides finer control over password generator and does it in a nice and intuitive way. This is your one stop shop for all your password creation needs. Careful observer may notice strength assessment text under generated password field. Now that the tool allows generation of weak passwords, it was important to provide real time client-side only strength assessment. This entry was posted in Announcements on April 20, 2018 by Oleg. After a few years on the market it is time for a fresh look and feel. Your favorite password manager is getting a new logo. We were looking for an image that represents security yet doesn’t include a traditional padlock. This logo is simple, memorable and distinct. It conveys the sense of security perimeter around your data, at the same time retaining the aspect of central identity repository. This logo is the first step towards revamping our entire UX. Stay tuned. This entry was posted in Announcements on April 19, 2018 by Oleg. It has been a few days since Google Chrome Extension was release and we already have great news. Login and password form auto-complete is available for most popular websites. As you browse the web, extension can detect that you have credentials for any particular web site and advise auto-complete. No longer you have to spend extra clicks copying password from identity dashboard or client app into the web site. Browser does the work for you automatically, while keeping identities safe and secure. Extension is designed to isolated identities only to websites it recognizes, so malicious web sites pretending to be legitimate services won’t be able to steal them, even if web site address looks similar. Update your extension today for a new experience and as always, drop us a line of feedback if any. This entry was posted in Announcements on December 7, 2016 by Oleg. Today we are announcing a preview of Google Chrome Extension for My ID HUB service. 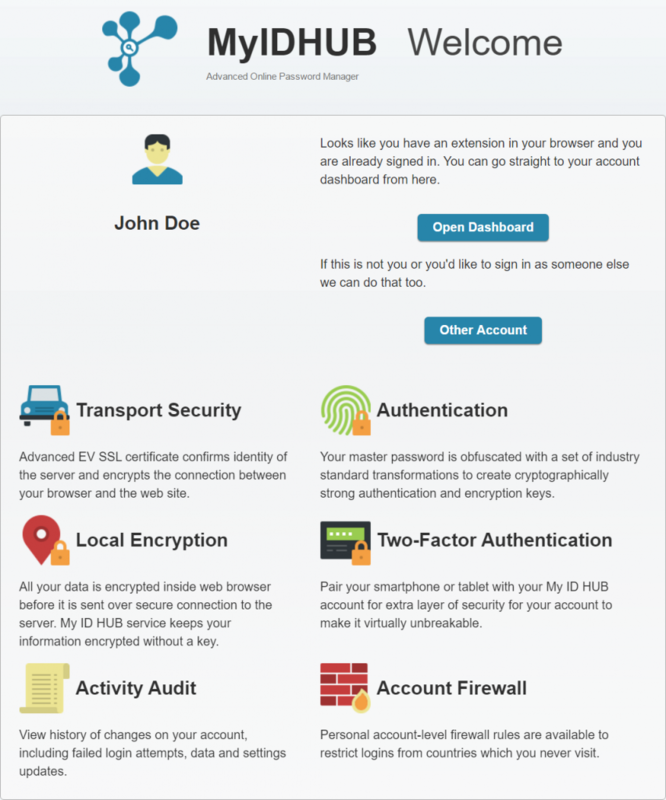 This little tool helps you login into My ID HUB web site without typing your password. How cool is that? When you click “Open Dashboard” button you go straight to your identity list. Currently extension is in preview (version 0.5) and has limited functionality. You may expect this extension to support form fills or password generation but it doesn’t, yet. Extension does sync all your identities locally but it doesn’t make any use of them. This is something we’re working to cover in near future and are kindly asking for your patience. Please download it from Google Chrome Web Store right now and let us know what you think. Oh, and did you notice your web site login time has improved significantly? There is a reason for that too. We switched to native cryptography implementation that is much more performant. We plan on bumping parameters of key generator profiles as well to strengthen security of your account. This entry was posted in Announcements on December 2, 2016 by Oleg. 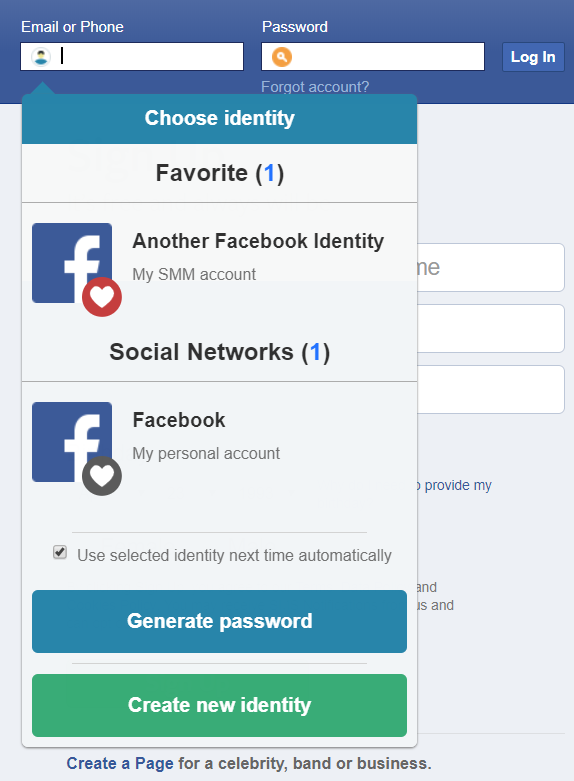 We have just added a simple way to keep the history of identity changes in your account. You no longer need to add a new property with a new password value every time you rotate your password. Now all you have to do is change password in-place and hit Save button. History of changes is automatically captured and retained for you for future references. Change tracking is enabled for all properties, not only passwords, but we believe passwords will benefit most because they are changed most frequently. By default, button to expand property value history is not displayed if property has no changes. Button is show as soon as there is at least one change in this history. We’re making password management a breeze, one improvement at a time. This entry was posted in Announcements on October 2, 2016 by Oleg. We have just rolled-out an update to web site interface that, among other things, provides much better browsing experience for identities. Identities belonging to the same categories are now neatly grouped and displayed together. Favorite identities appear at the top with the rest of categories following in alphabetical order and “Other” category closing the list. Web site interface now resembles Windows Universal client apps which brings the promise of seamless identity management across all devices closer to life. We hope this change will streamline your browsing experience and save you couple of extra seconds every time you visit the web site. This entry was posted in Announcements on September 28, 2016 by Oleg. Today we published new app version for Windows. It is compatible with Windows 8 and Windows 10, desktop and phone. 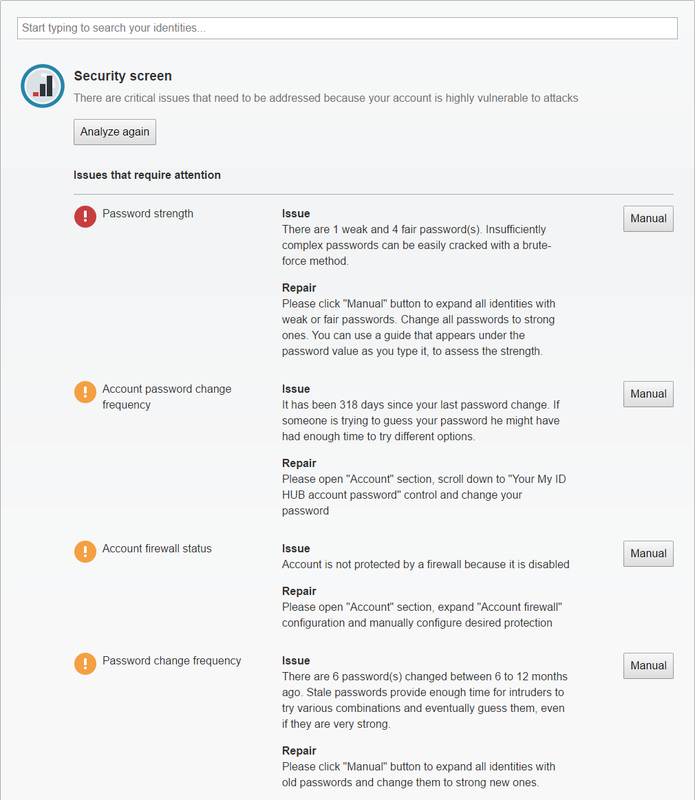 It contains security upgrade released in latest My ID HUB service version – ability to customize security profile of encryption and authentication key generator. Now you can protect your passwords with even greater compute requirements. Apps run natively on Windows so even Ultimate profile will perform reasonably quick. Another great improvement with this release is offline identity cache. It is great for users with intermittent or unreliable internet connectivity. 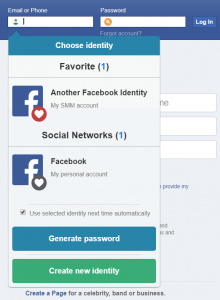 All your identities will be downloaded and stored offline on your phone, tablet or desktop device. Live connection to My ID HUB is no longer required for reading identities. Rest assured, your identities are stored encrypted and your master password is still required to decrypt them. We have improved identity presentation. They are now grouped based on categories. All your favorite identities appear in the very first category. 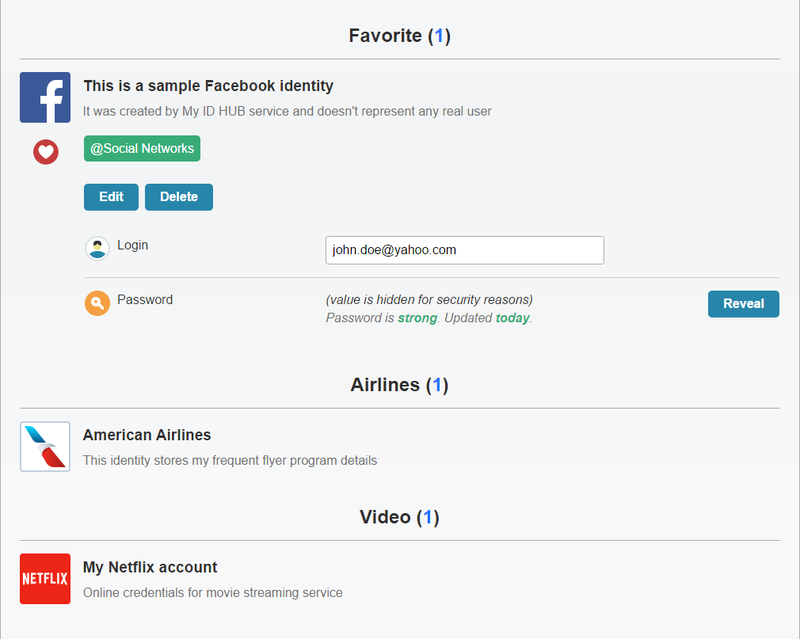 We improved identity modification page, added identity tags and a few more useful features. You should definitely check these apps out as soon as update arrives to your phone. If you haven’t tried My ID HUB yet – now is the time! This entry was posted in Announcements on May 15, 2016 by Oleg. 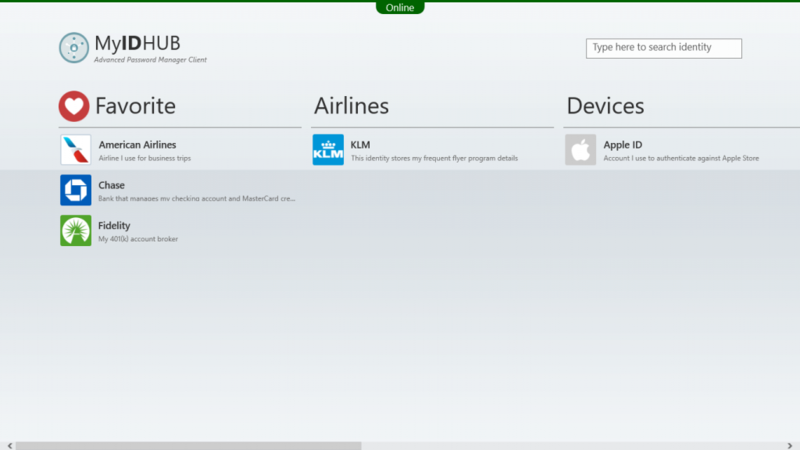 My ID HUB update 2.2 with Security Screen has arrived! A new release of My ID HUB service is out and it is packed with security improvements! Ever wondered how strong is your account protection or how safe is each passwords stored inside your account? Now you have a one-click way to find out! Every time you login into web site, My ID HUB cross-checks everything you’ve configured or stored inside with well-known vulnerabilities and reports findings to you. With this release we added 14 different checks. 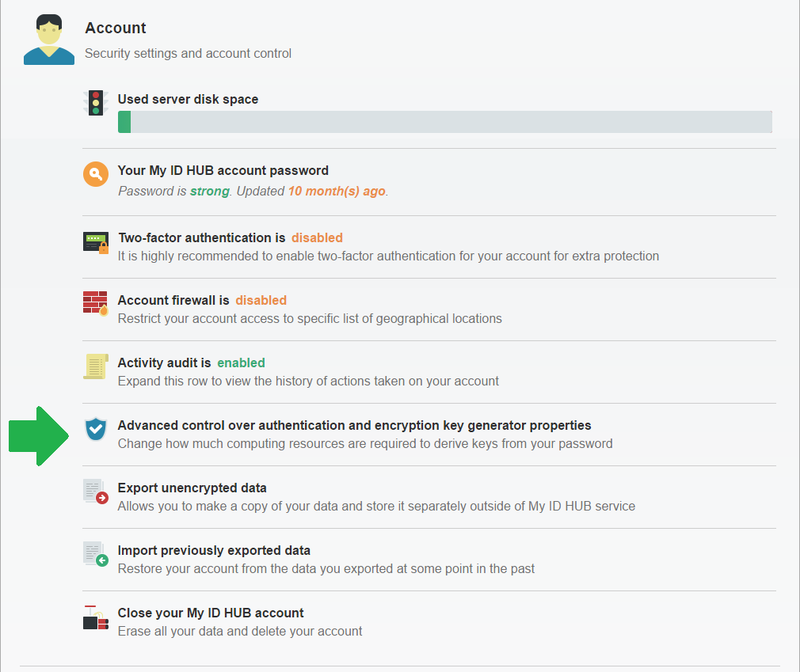 My ID HUB can even check your passwords against a database of leaked passwords to notify you before someone gains access to your data. Please use this tool to keep your data safe at all times. Another great security improvement available with this release of My ID HUB service is control over key generator profile. Now you can decide how costly it will be for bad guys to try and brute-force access to your account. You can choose one of the profiles depending on your own computing resources available. The longer you need to wait for login the longer bad guys will wait before they guess the right password for your account. For your convenience, My ID HUB runs a quick benchmark to estimate your own login time via web browser on a particular computer. These profiles will be revised periodically as average computing power increases so please check back frequently in case you need to switch your profile. 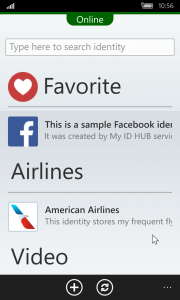 Current My ID HUB release also includes a set of interface improvements. We have heard your feedback loud and clear about inconvenience of mouse hover controls that show up only when you move your mouse in a designated area. Those controls were removed and replaced with buttons that work great in desktop as well as handheld devices. We hope you enjoy this new feel and look. As always, please drop us a line of feedback when you get a chance to try it out. 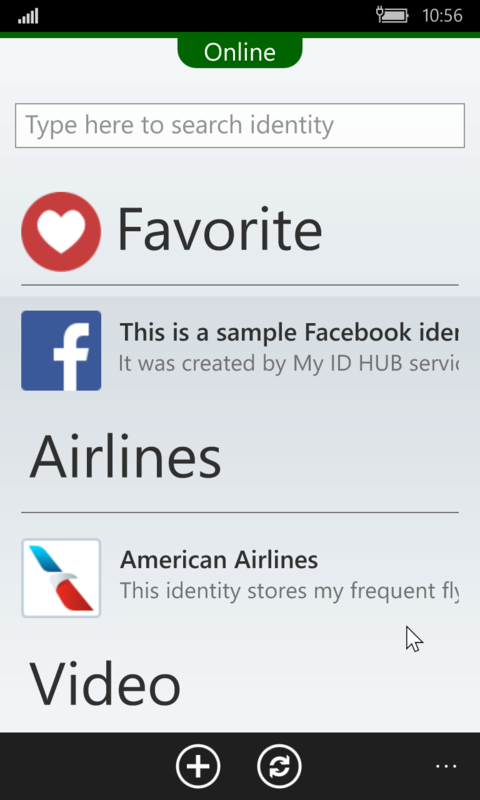 Stay tuned for an exciting update to our Windows app. This entry was posted in Announcements on May 7, 2016 by Oleg.